Just a few of my favourite images, check out the other galleries for many more! 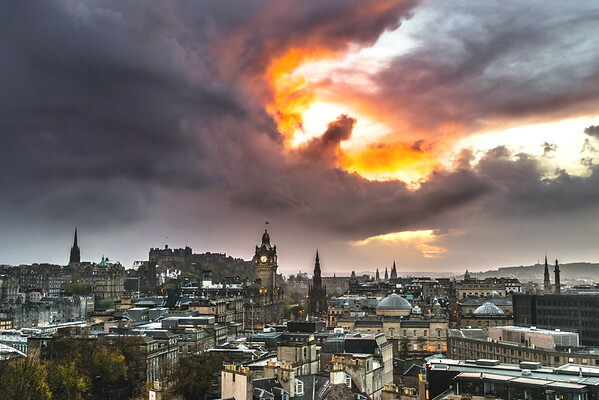 I was fortunate enough to capture this spectacular sunset over Edinburgh earlier in the Autumn. I'm not sure whether I've ever seen a sunset quite like it. This particular view of Edinburgh from Calton is spectacular enough as it is and the colours and shapes in the sky made it just perfect! I was certainly glad I decided to take my camera out with me when I went for a walk!